Add more charm to your eyes with this Elle 18 Eye Drama from Elle 18. The Elle 18 Eye Drama is long lasting Kajal in a twist-up format. This dermatologically tested kajal is just what you need for completing your eye makeup or carrying a simple, only-kajal look. It's a smudge proof, water proof kajal and can add the dramatic and glamorous look to your eyes. It has intense matte texture and you can experiment with a thin line or a bold wing, this kajal is great for day and night looks. Its long-lasting- up to 12 hours without smudging and is completely waterproof. It is designed with an easy to use and convenient twist-up format. Just one stroke of the Elle 18 Eye Drama enhances your simple look to a more stylish avatar. You are incomplete without Elle 18 Eye Drama and this is a perfect everyday product! Get the Elle 18 Eye Drama in black, now. The Elle 18 Eye Drama goes best with your Elle 18 Color Pops Matte Lipstick to enhance your looks further, be it a wedding, party and work look. Line your upper and lower eyelid with a rich coat of the Elle18 Eye drama Kajal. 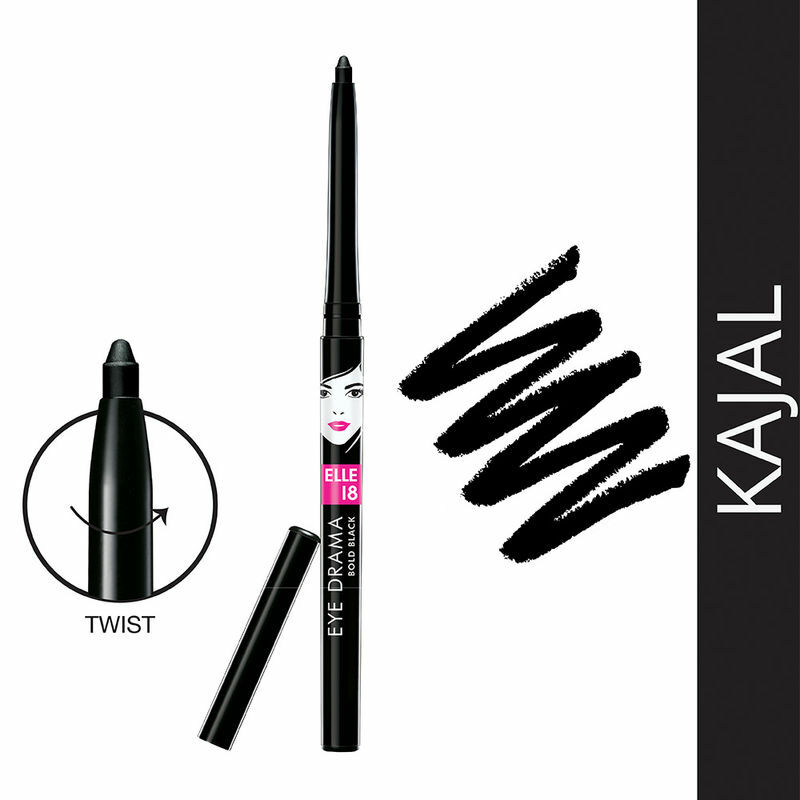 Explore the entire range of Kajal available on Nykaa. Shop more Elle 18 products here.You can browse through the complete world of Elle 18 Kajal .